Far Right Plans Its Next Moves With a New Energy | "Global Possibilities"
Some were making arrangements to appear at future marches. Some were planning to run for public office. Others, taking a cue from the Charlottesville event — a protest, nominally, of the removal of a Confederate-era statue — were organizing efforts to preserve what they referred to as “white heritage” symbols in their home regions. Calling it “an opportune time,” Preston Wiginton, a Texas-based white nationalist, declared on Saturday that he planned to hold a “White Lives Matter” march on Sept. 11 on the campus of Texas A&M — with a keynote speaker, Richard B. Spencer, who was featured at the Charlottesville event. Mr. Wiginton was not the only one seeking to capitalize on the weekend’s events. On Monday, Austin Gillespie, a conservative Florida lawyer who is better known as Augustus Sol Invictus and attended the “Unite the Right” rally in Virginia, said he planned to announce on Tuesday that he would seek Florida’s Republican nomination for the Senate. And at a news conference on Monday, Mr. Spencer, a prominent white supremacist, promised to return to Charlottesville for another rally. “There is no way in hell that I am not going back,” he said. The far right, which has returned to prominence in the past year or so, has always been an amalgam of factions and causes, some with pro-Confederate or neo-Nazi leanings, some opposed to political correctness or feminism. But the Charlottesville event, the largest of its kind in recent years, exposed the pre-existing fault lines in the movement. Some hard-line conservatives beat Mr. Trump to the punch, apparently concluding that the marchers had gone too far and that their aggressiveness and messages could hurt the movement. Mike Cernovich, an influential right-wing media figure who is hardly shy of controversy, posted a Twitter message on Saturday afternoon, attacking what the self-proclaimed alt-right, parts of which use Nazi imagery and racist language, had become. Unwilling to be associated with explicit neo-Nazis, some of those invited to the Charlottesville event did not even bother showing up. Among them was Gavin McInnes, the founder of the Proud Boys, a conservative fraternal organization of self-described “Western chauvinists” that has engaged in several battles with the left in recent months. Well before the gathering in Charlottesville, Mr. McInnes had planned to hold a “Free Speech” rally in Boston on Saturday, but it remained unclear whether it would take place after civil rights groups on Monday asked the city’s mayor, Martin J. Walsh, to revoke the rally’s permit. Mr. McInnes, in an unusual move, said he hoped the event would be canceled. We decode the symbols of hate that white supremacists, Nazis and alt-right groups display at their marches, including the violent gathering in Charlottesville, Va.
On Monday night, officials at Texas A&M announced that they were canceling Mr. Wiginton’s event. But he pushed back, saying he would fight the university in court. “It seems like the First Amendment doesn’t apply to white people,” he said. Elsewhere in the country, other movement leaders were busy pushing forward with their plans. Jack Posobiec, an activist who interrupted a June performance of “Julius Caesar” in New York that portrayed the assassinated leader much like Mr. Trump, is planning to march on Google’s New York headquarters on Saturday to protest the company’s firing of an employee who criticized its diversity policy. Matthew Heimbach, a founder of the Nationalist Front, an umbrella organization for the white nationalist movement, said on Monday that he was going to start organizing against an effort to remove two Confederate statues from public squares in Lexington, Ky. As the violence broke out in Charlottesville on Saturday, the mayor of Lexington, Jim Gray, wrote on Twitter that the statues should come down. 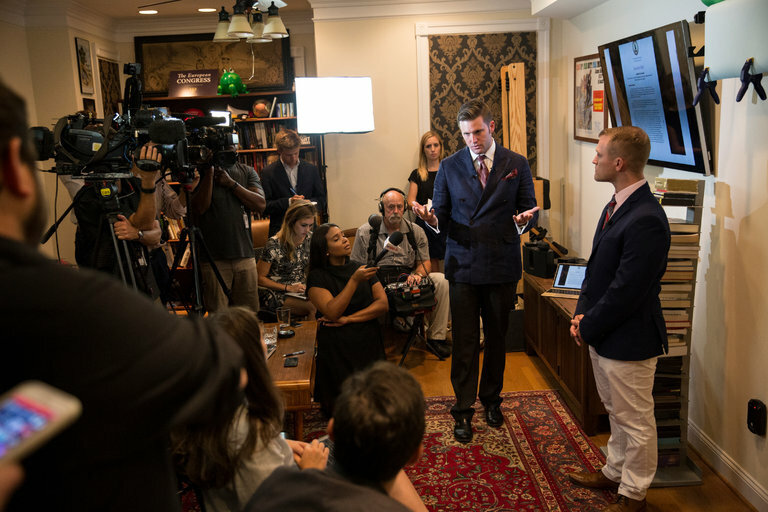 And Eli Mosley, an organizer for Identity Evropa, a white separatist group that endorses racial segregation, said that his and other like-minded groups planned to hold more rallies in Virginia. Indeed, on Monday, a Confederate heritage organization filed a request with state officials to hold an event on Sept. 16 near a monument of Robert E. Lee in Richmond. Mr. Mosley was so enthused by the Charlottesville rally that he claimed the movement could within two years attract as many as 10,000 people to a national march in Washington. Mr. Mosley added that he had no concerns about the president’s remarks and that they would have no effect on the movement’s future plans. The goals of the far right have never been uniform. The disparate factions of the movement have sometimes come together in supporting concrete issues like restricting immigration and creating “a white ethnostate” in America. But at their large-scale rallies like the one in Charlottesville, they are often mainly interested in solidifying their communal bonds and attracting the attention of the news media. Mr. Gillespie is among a handful of people to have taken the traditional route of seeking office. (He ran a failed campaign for the Senate last year as a Libertarian candidate in Florida.) 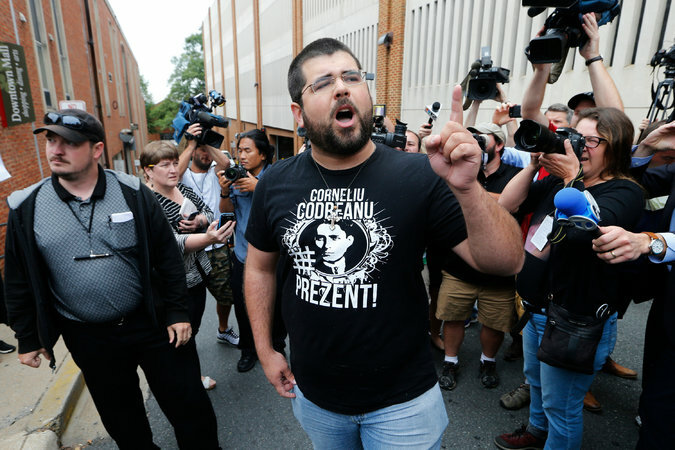 While one of Mr. Heimbach’s groups, the Traditionalist Worker Party, has also run candidates, mostly for local offices, it is arguably more concerned with creating a grass-roots movement of white nationalists. The group has organized on behalf of disaffected coal miners and those affected by the opioid epidemic, and it has handed out white supremacist literature at gun shows and neighborhood Christmas events. Like other white supremacists, Mr. Spencer has called for “a white homeland” in North America. But he, too, can often seem less interested in policy than in headlines. At his news conference, he referred — cheekily, it seemed — to the throngs in Charlottesville who marched by torchlight in an echo of the Ku Klux Klan.